It’s relatively easy to find a free DIY Will template on the internet, and fairly cheap to buy a Will “kit” from a newsagent or online. There are also websites that have “data collectors” that take your information and create a Will for you, seemingly without any legal expertise required. If you have a valid Will your executor applies to the Court for a grant of Probate and can then distribute your estate in accordance with what you have written in your Will. If you hold joint property with your spouse probate may not be required, unless substantial assets are held in your own name. There are many common situations, however, where a valid Will is required to properly distribute your estate and look after your family and loved ones. If you have a Will that is deemed invalid by the Court then your estate will most likely be exposed to delays in distributing your estate, increased legal and court costs, and potential financial hardship and emotional anguish for your family. Most people think that their situation is simple and that a DIY Will is “good enough” but consider the following situations, and whether they may apply to you or someone you know. There are very strict requirements for the signing and witnessing of Wills, if your DIY Will is not signed correctly or is not witnessed properly it may be invalid. If your DIY Will does not deal with all of the assets and liabilities that you leave when you die your Will may be ineffective in dealing with those assets. 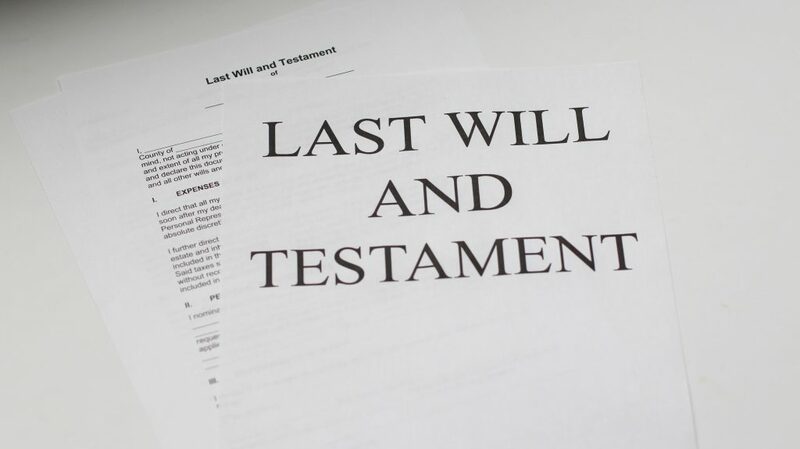 Once your Will is made, even writing on it later or making any changes can invalidate that Will and may render it ineffective, either partly or fully, in dealing with your assets. If you purchase a property with your partner in “equal (or unequal) shares”, for example, because you both have children from a previous relationship, then the property may not get transferred to either your de facto partner or your children as a matter of course. If you do not have a valid Will, your property cannot be dealt with in a simple and cost-effective way and may be the subject of dispute between your partner and children. If your new Will is invalid your estate may go to your parents and not to your new family as you intend. consider your particular situation and the specific things you need to be included in your Will. Your lawyer can also help plan other aspects of your estate, such as whether you need to appoint a guardian for your children, a trustee to run your business or whether an elderly relative needs to remain in your home after you are gone, and a myriad of life circumstances that are particular to you. If you or someone you know wants more information or needs help or advice in preparing a valid Will please contact us on (08) 9380 9288 or email guy@dclawyers.com.au, robert@dclawyers.com.au, or jonathan@dclawyers.com.au.